Our original and still most popular product, the TRIbella Classic includes a stylish carrying case for easy transportation and comes in elegant outer packaging perfect for gift-wrapping. A more colorful variation of the Classic, the TRIbella Pourtable offers the same function with new aesthetics and a more compact plastic carrying tube, perfect for bringing on-the-go. 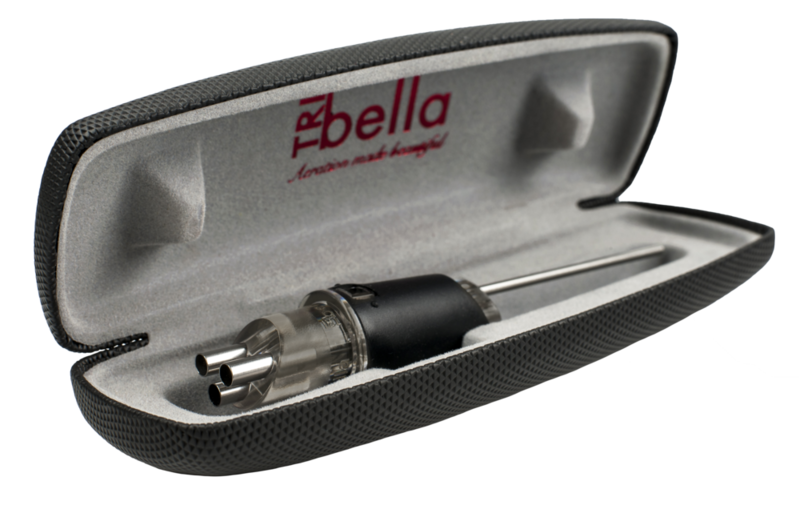 With minimalist packaging and a single injected piece replacing the three stainless steel pour spouts of the original design, the Air Speed offers the beautiful pour of TRIbella at our most affordable price point. With minimalist packaging and a single injected piece replacing the three stainless steel pour spouts of the original design, the Wine Wizard offers the beautiful pour of TRIbella at our most affordable price point and in a vibrant new color option.